Enjoy the best inspirational, motivational, positive, funny and famous quotes by Angela Glover Blackwell. Use words and picture quotations to push forward and inspire you keep going in life! Broad access to opportunity is the key to a truly equitable America. 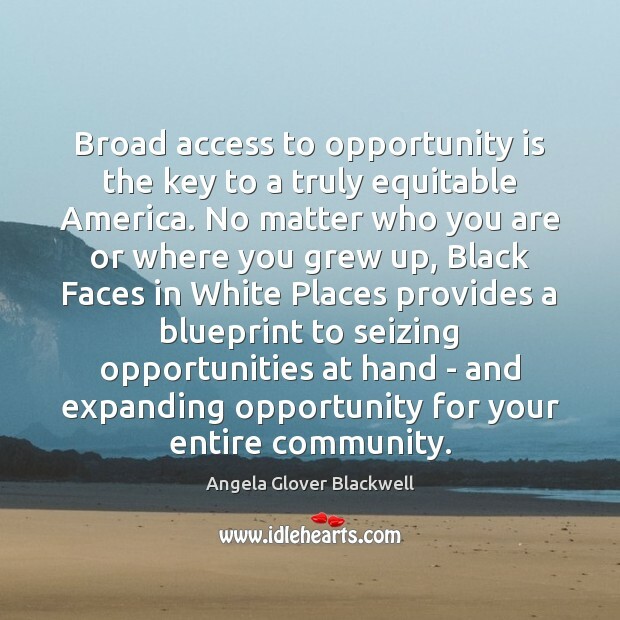 No matter who you are or where you grew up, Black Faces in White Places provides a blueprint to seizing opportunities at hand - and expanding opportunity for your entire community.